A slew of cliché-ridden reviews will undoubtedly accompany this release in the weeks and months to come as it is discovered. 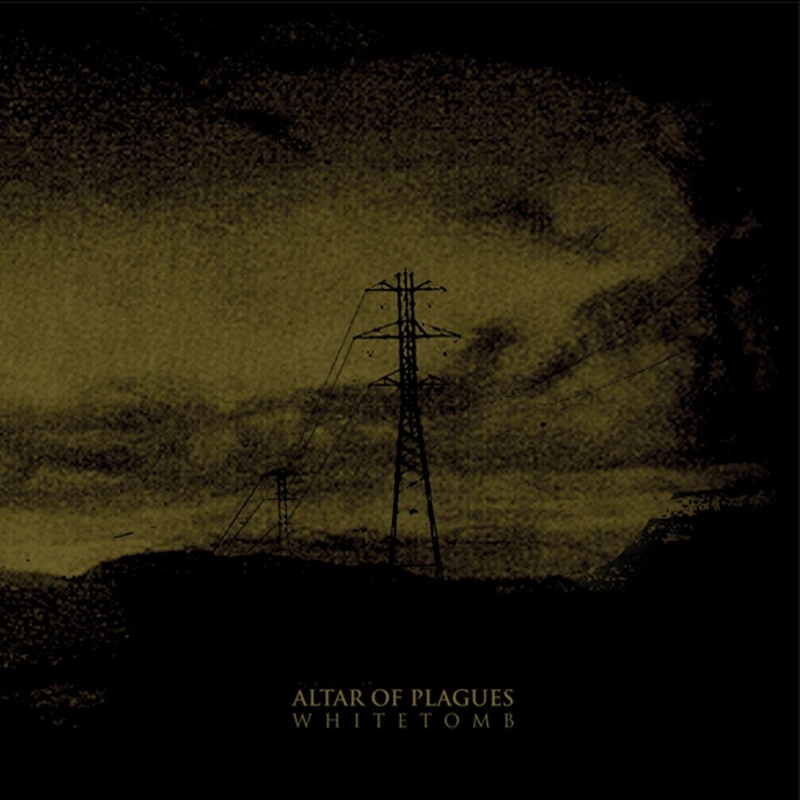 'White Tomb' offers expertly blended post-rock, moments of KHANATE-like extreme doom and black metal barrages of the WOLVES IN THE THRONE ROOM variety with a brilliant appearance from Nathan Misterek of GRAVES AT SEA. In no way intended to take away from what this band has achieved, it must be stated that 'White Tomb', partly due to the above cocktail of conversation-starting influences, is an entirely “fashionable” release and as such, very accessible - the latter actually being one of its strongest points. This fusion of several extreme metal styles is quite in vogue of late, ruffling the feathers of purists from every metal sub-genre camp. Either way, AoP would be uncomfortable to label what they do as any one particular style, be it black metal or apocalyptic post-rock, such labels only serving to constrain and betray such a talented project. In essence, AoP are sticking true to what extreme metal purports to endorse: a shattering of musical boundaries and oft false preconceptions. While many will surely point out a release such as this is most notable as the work of an Irish metal band, a scene which has few internationally known/recognised metal acts, it would be more fitting to mark this out as exceptional work regardless of its geographical origins and the laudable fact that being based in Ireland didn’t curb AoP’s activities and subsequent echoes in scenes miles away. Passionate and dedicated, the time and effort that went into this are, at times, all too tangible. This is exactly the kind of release that prompts one to feel that one should be doing more with one’s existence (if you’re musically inclined), if this small band from a relatively unknown part of the world (in the grander scheme of things), can produce something of this magnitude and presence. 'White Tomb' is a hypnotic blend of musical prowess and unnervingly heartfelt proclamations of impending doom; a mournful, evocative burst of musical energy that effortlessly conjures images of collapsing cityscapes, rising, treacherous oceans and the folly of man. A gripping, epic and truly remarkable release from a band buttressed by exhaustive touring, prestigious support slots, a loyal fan base and pure, honest hard work. AoP have built their status from scratch and are highly deserving of all the praise that is, and will be, heaped upon them. Originally uploaded under the username 'torchia' to metal-archives.com, 27 April, 2009.